The Campaign Monitor add-on for Restrict Content Pro (RCP) will integrate your site with Campaign Monitor, a powerful email marketing service. The add-on allows your customers to subscribe to your Campaign Monitor lists when they register for a membership on your RCP-powered website. This add-on requires Restrict Content Pro and a Campaign Monitor account. Download and install the plugin from the product's page here. If you need help installing the plugin, refer to the WordPress plugin installation documentation. API Key - the secret key required to communicate with your Campaign Monitor account. Client ID - the Client ID key required to communicate with your Campaign Monitor account. List - the list you want members to be subscribed to when registering for a membership. Form Label - the label on the registration form where people subscribe. To configure these settings, go to Restrict > Campaign Monitor in your WordPress dashboard. 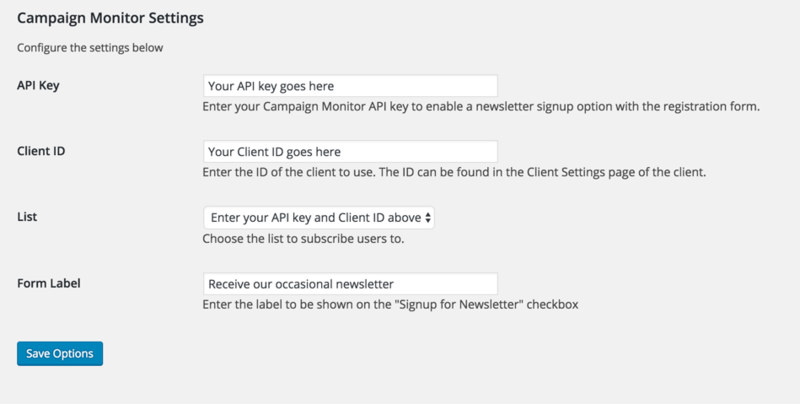 In the API Key field, enter the API key found in your Campaign Monitor account. You can find that in the Manage Account screen of your Campaign Monitor account dashboard. In the Client ID field, enter the Client ID found in your Campaign Monitor account. You can find that in the same screen as the API key above. After entering your API Key and Client ID, click the Save Options button. The page will reload. 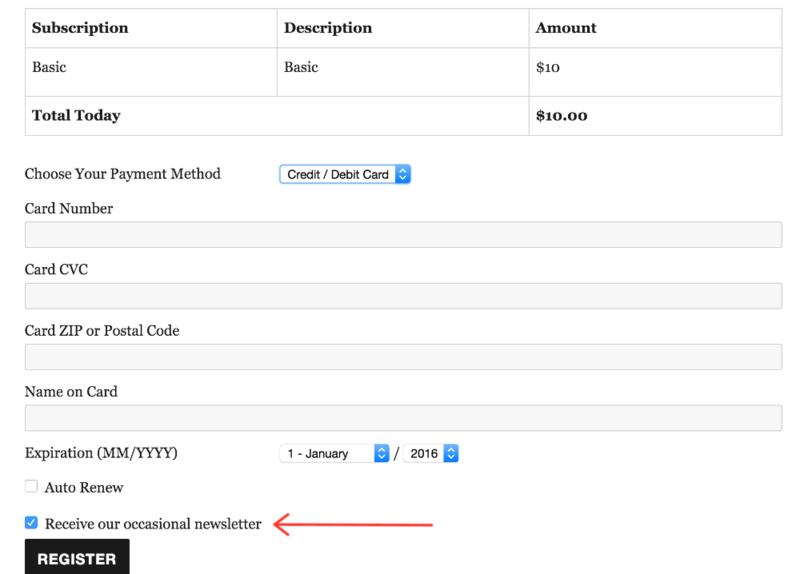 Now you can select the List you want people to subscribe to when registering for a membership. Finally, enter the Form Label you want on the registration form, and click Save Options again. That's it! Now members can subscribe to your mailing lists when they register. Here's a screenshot of the mailing list checkbox on the registration page.